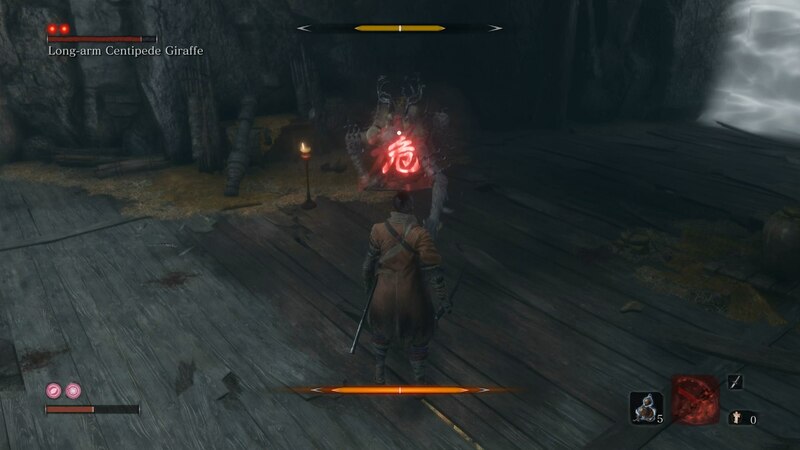 Here's how you can defeat the Long-Arm Centipede Giraffe boss in Sekiro: Shadows Die Twice. The Long-Arm Centipede Giraffe is definitely not a giraffe, but it definitely is a tricky boss to overcome. 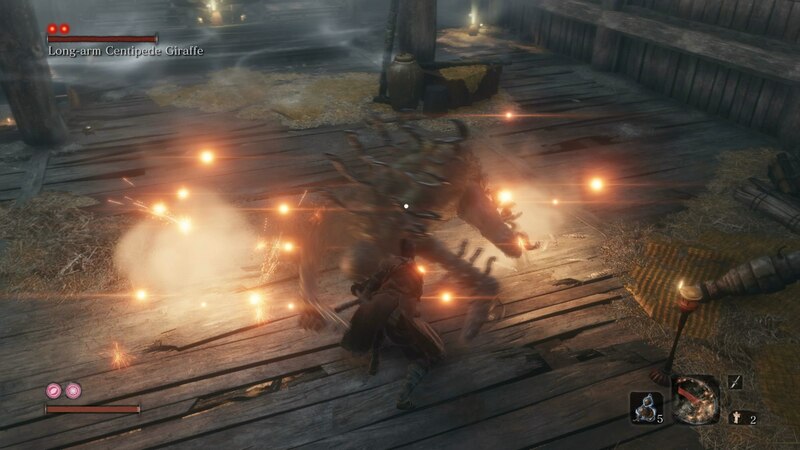 In our Sekiro Long-Arm Centipede boss guide, we'll be providing you with all the instructions you need on how to beat Long-Arm Centipede Giraffe in Sekiro, as well as how to cheese Long-Arm Centipede Giraffe, for when the fight gets really tiring. If you're only here for the essential tips on how to best Long-Arm Centipede Giraffe, then check out the list below. The Long-Arm Centipede Giraffe always opens with a massive chain of attacks. Instead of dodging or jumping over the chain of attacks, try and parry them all. The boss nearly always follows up a chain attack with a red kanji attack, which you can jump over. The Firecracker is excellent for stunning this boss out of any attack. In the second phase, Long-Arm can interrupt the chain attacks for the single red kanji attack, so watch out for this. Well, this sure doesn't look like any giraffe we've ever seen. You can find the Long-Arm Centipede Giraffe down the path from the Gun Fort Sculptor's Idol, which itself is located in the Sunken Valley area of the game. As soon as you enter the arena with the Long-Arm, you want to close the distance to the boss immediately. This boss is nearly impossible to fight on fair ground, so we're going to give you a slight cheese tactic to win this fight. Firstly, you're going to want to acquire the Firecracker Prosthetic arm for the Shinobi Prosthetic (head over to our Sekiro Prosthetics guide if you haven't got it yet). You now need to let the Firecracker rip, right in the face of the Long-Arm, whenever it goes to attack. The default attack pattern of the Long-Arm is unfortunately to chain together right around eight attacks in a row, so the goal in this fight is to never let that happen, and instead keep the monster at bay with the repeated use of the Firecracker. But, your ammo for the Firecracker is eventually going to run dry, especially if you haven't been purchasing the upgrades for carrying more Spirit Emblems. So every time the boss is stunned from the Firecracker, you need to make sure you're using your combat art attack, instead of just a normal attack on the boss. This is so you can raise the Posture meter of the Long-Arm, without running your Spirit Emblem supplies dry. Make sure you're hitting home with the best combat art attack you have available, while not letting the Long-Arm get off any attacks by using the Firecracker. 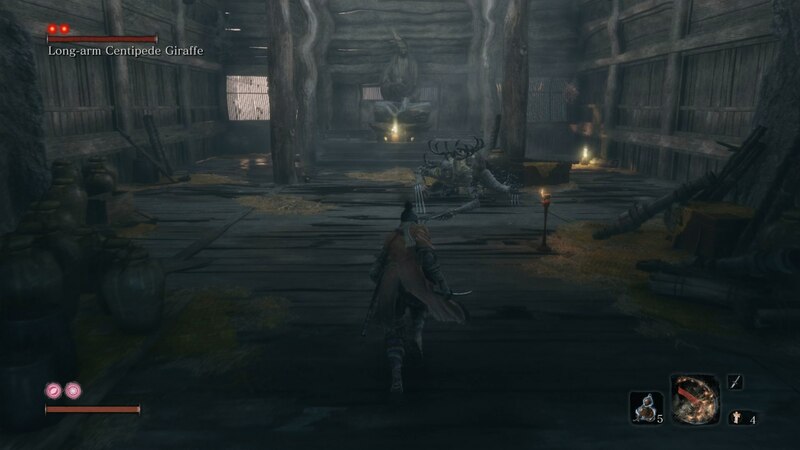 There really is a set strategy on how to overcome Long-Arm Centipede Giraffe in Sekiro. But, if you're not one for sticking to the best laid plans, you can either use the Firecracker or the Flame Vent Prosthetics against the boss. Long-Arm hates both of these tools, and using them will allow you to get in a few clean hits on the boss with ease.